How to make a patient queue in DVNAPMS EXPRESS Edition. It is a Free Edition ? Whenever any user of DVNAPMSEXPRESS-2013 will use first time patient queue page then they have required guide to use it. Step by step guide to patient queue procedure in DVNAPMSEXPRESS-2013. This article is subjected to change any time whenever application will goes to change modify and version upgrade on day to day basis. 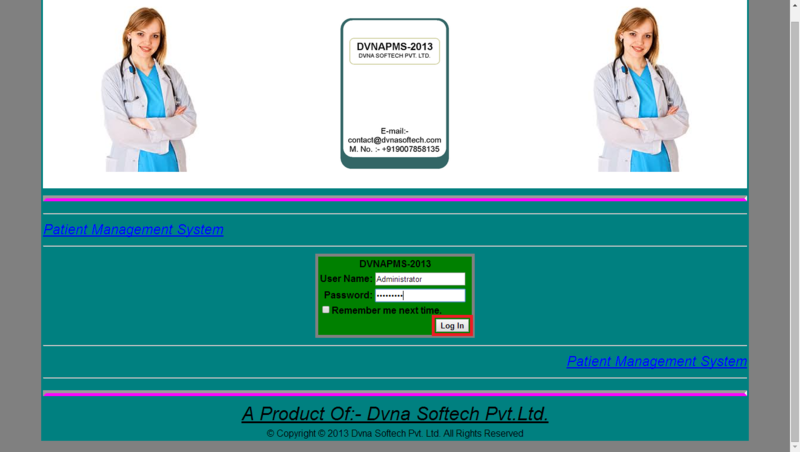 Step -1.Type or click on URL http://www.dvnasoftech.in/dvnapmsexpressà Go to DVNAPMSEXPRESS-2013 Login Panel à Put User Name and Password à Click on Log In button à it will open as given below. Step-4 Click on patient queue receipt button. Now you can see patient queue receipt as given below. à Now you can export patient queue receipt in pdf format à it is shown as given below. Step-5 Now click on open button as shown below àIt will print patient queue receipt àPatient queue is completed successfully. Step-6 Now patient queue receipt as shown below àIt will print patient queue receipt àPatient queue receipt is completed successfully.